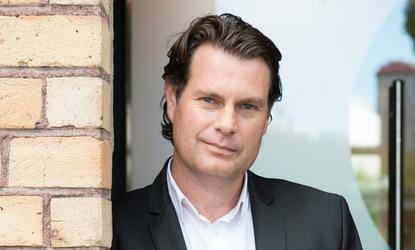 Expanding Kiwi company VMob has reported 283% operating revenue growth for the six month period ended 30 September 2014. Expanding Kiwi company VMob has reported 283% operating revenue growth for the six month period ended 30 September 2014, boosted by new commercial agreements across the globe. Releasing its half-year results to the NZX market today, the Auckland-based business says the last six months has continued to be a "period of growth and development for the company", as it targets expansion across the world. During this period, VMob says it has continued to invest in its people and the development of its SaaS platform to deliver against its technology roadmap, enabling the scalability and features required to take advantage of the growing global demand for mobile marketing by VMob’s global clients. The major highlight during the period was the signing of a three-year contract with McDonald’s Japan to provide VMob’s mobile marketing platform to McDonald’s 3,200 restaurants in Japan. "This was a fantastic result for the Company following a rigorous RFP process against international competition," the report states. Japan is the second largest market outside of the United States for McDonald’s. Deployment of this project is currently under way and is expected to be live in early 2015. VMob has continued to build its global presence, opening offices in London and New York and establishing wholly owned subsidiaries in the United Kingdom, Japan and the United States. Personnel have been employed in the United Kingdom and Japan and recruitment is under way in the United States for a VP Sales to further accelerate the development of these markets. Expansion into the United States has accelerated to take full advantage of local opportunities and the strong partnership with Microsoft, which will see the technology multinational support VMob in the United States and other markets. "The United States presents a key market opportunity for VMob," the report adds. "The appetite for mobile marketing solutions in the United States has increased at a significant rate with every top 100 retailer in the United States deploying a mobile application, compared to about 40% only two years ago. "Having a presence in the United States will also allow VMob to take full advantage of the increasing number of integration opportunities with leading SaaS marketing, CRM and ERP systems such as Microsoft Dynamics, Oracle and Salesforce, putting the business in a strong position to build on relationships with these North American headquartered companies. Locally, VMob was successful in securing contracts with Auckland’s Heart of the City powering their “Where Next” mobile application, and Loyalty New Zealand. VMob has also partnered with Loyalty New Zealand to provide mobile loyalty capability to the existing Fly Buys coalition loyalty program. Fly Buys is the world’s most successful coalition loyalty program with 74% of New Zealand households active and 52% of the population holding a Fly Buys loyalty card. "The Company continues to build out its technology platform to address the needs of large scale global organisations while also developing more highly packaged versions of its offering for smaller businesses looking to deploy rapidly and at a lower cost," the report adds. VMob says it is "attracting significant international attention" for its mobile marketing platform from some of the largest brands on the planet while developing "a close working relationship" with Microsoft in the United States, which is enabling access to many large prospects at senior levels. In order to pursue these opportunities, CEO Scott Bradley has re-located to the United States to lead business development activities in that market. "VMob is proud of the progress it has been able to achieve to date; building a world-class technology platform, developing a strong international market presence and employing a talented team," the report adds. "These are the key building blocks for future success, which the Company is confident will translate into strong revenue growth in the years ahead as a combination of more large enterprise clients and smaller “out of the box” sales are secured."